It can be difficult to find a reliable SEO professional in Cambridge, most people use software to build dodgy links and they don’t understand the importance of quality over quantity. You don’t get quality from using automated link building techniques, but you do get link penalties from Google. I’ve seen this many times when people pay for cheap link building, often from overseas but sometimes from the UK also. These penalties often stay with your website for a very long time and are notoriously difficult to recover from. Backlinks are one of the most important aspects of SEO, if done right then they can bring you both direct traffic from people clicking on the links that are created and they can give you organic rankings that bring more people to your site from searches they make in Google. As you read this article you will see why working with me can bring you more traffic and leads to your website, without ever risking your website with bad practice. EVERYTHING I do is safe. More quality links means more traffic and more traffic means more sales/enquiries. Make sense? This ensures my clients know that they are getting what they pay for, I’ve heard many times of SEO companies or SEO professionals taking money and not actually doing any work. Sad but true. Their businesses are more sales focused to get more contracts rather than what clients pay them to do. I focus on getting results for my clients and expecting they will always want to stay. My service is as white hat and safe as it gets. I create relationships with real website owners/editors on your behalf, these website owners will be from sites who’s audience I think would love your content. I present the website owner with our content to share and hope they find it interesting enough to publish it. 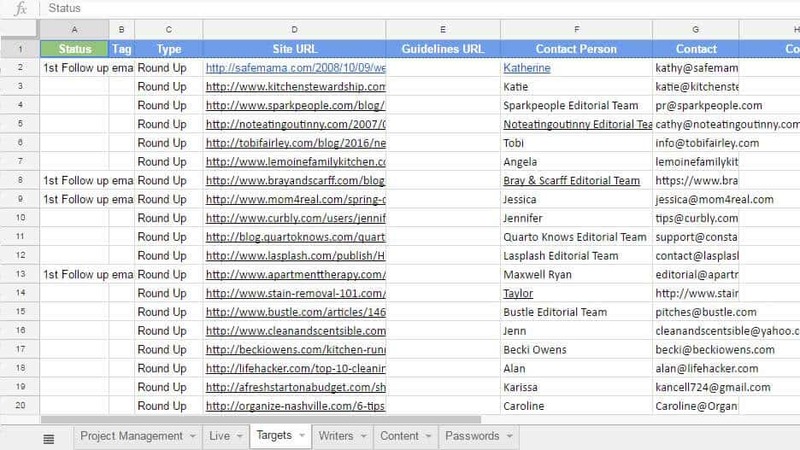 I find these website owners by creating a list of relevant targets based on whether I think their audience would love your content and be interested in your business. We present your content to them and hopefully we will get a link (helps rankings in Google) and traffic from real people clicking on that new link. Ok, so if you think your content isn’t exactly exciting or even remotely interesting, we can do 2 things. I can give you some “angles” to create new articles/content and you can create that in house if you have a writer. Otherwise I can source my copywriter to do it for you, taking that hassle away, and you will only be charged what they charge me. If I oversee the content creation process then I can have greater influence over the quality of what is produced. Creating backlinks this way is the only proper way to backlink to your website. All other link building techniques will at some point get you in hot water with Google and will eventually just stop working all together as they update their search algorithms. DON’T RISK IT! Whatever you do, even if we don’t work together or I’m not taking on new clients, please do not buy link building services because they promise quick results and or are cheap! Especially is they are from overseas, I have seen it all go so wrong before and you’ll be in serious trouble even I can’t guarantee you’ll recover from. Choose someone who won’t guarantee rank results (they don’t own Google and don’t know what will or won’t happen, or even what your competitors will do) and don’t work with a cheap company saying you can see results for £200 a month. How much work would you do for £200? If you were really that good then you’d be charging much more because you can justify the value. I’m confident in what i can do and first started SEO back in 2009. You will get access to me, be shown the work I complete and have scheduled and you will see the results for themselves. Talk is cheap, I want to build a long term relationship with my clients, not spend my time looking for new ones. My aim is to have my clients know they have a quality white hat link builder and SEO professional that they can just let get on with his work and see the results. They will know they can get in touch with me directly, I have consultations every Wednesday where you can call me. You get on with what you do best, running your business. Want to see what’s going on with your campaign? Just open a live, real time spreadsheet and you can do so. Totally transparent. I don’t work with everyone who enquires, I have a mentality of high quality, bespoke campaigns/outrach, I don’t do automated software. People I work with understand the value of my service and share my values. This means the work I do won’t be compromised by unrealistic pressures, high quality is rewarded with long term results. You have great content ready to start a campaign or are willing to create new articles that i can use for successful outreach. You are looking to get more traffic to your website from other websites and from search engines. You understand the value of high quality link building and can afford to follow through with this strategy. You’re open to new ideas and ready to create the content required to generate great links. This is a high end service with strict restrictions on availability. I am one person, this is run by a real consultant and it’s important high standards are maintained. You will be billed monthly for this service. Access to a full technical audit of your website (£700 addon), notes on what needs to be changed on site to get the full effectiveness of my link building service. Your website acts like a multiplier for what I’m doing with outreach. Content audit; know what content is good enough, what may need to be changed and even what may need to be created (so we get as many high quality places linking to us as possible). Insights and strategy each month; we will use this insight to approach appropriate link targets to get us valuable backlinks. What I like to call “link magnets”. Pieces of content (doesn’t always have to be written pieces, they can be videos, infographics displaying interesting data etc) that will attract links from targets. Whilst I will not have the responsibility of providing this, I can source professionals who specialise in each respective field if this isn’t something you are able to do yourself. I already have a pool of people I use currently. I’m a master at finding people who will be interested in your content, I know the best ways to approach each of them. Sometimes it may even involve me calling them on your behalf. This is the best SEO you can get, done properly and consistently. 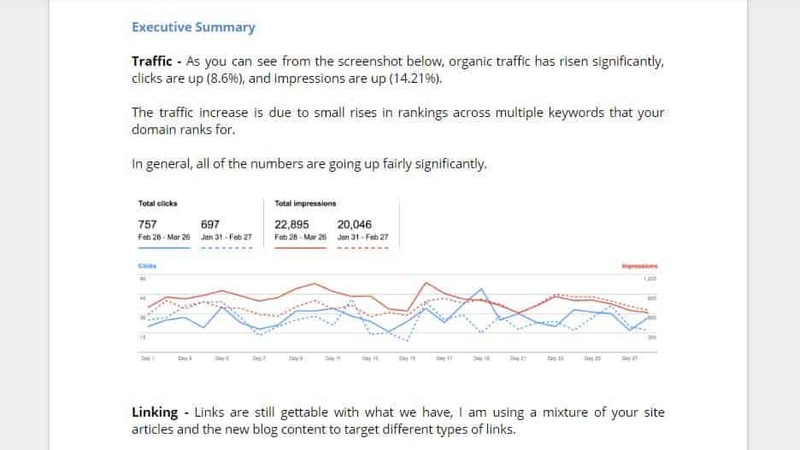 As a result you should expect increases in organic traffic (real people interested in what you do) and increases in rankings for keywords over time. The authority of your website is likely to increase and you will rank for longer tail keywords. This will cause you to rank for more and more keywords, you’ll get more and more traffic, make more and more money and possibly fall head over heals for me. Do this the right way and it can give you amazing rewards. Look at another SEO company in Cambridge and compare this article to theirs. I go in depth and provide a service they simply cannot match. Before you contact me I’d encourage you to read my link building article. If you don’t want to risk a client swooping in and taking your spot (I take it as a compliment) you can contact me here. Oh, We Haven’t Talked About Money Yet Have We? My work starts at £1000, I never take on clients below this level. Generally people start at around £2000 and work upwards to 4-5/month when they realise how good my service is. Projects are worked in batches of 3 months, we can talk about more work together after this period. Strategy works better for this time period I find, so I tend to not plan 6 months in advance. I don’t enforce 3 months by contract, it’s just an understanding between myself and you, that these timeframes work best for building links. If you don’t like what i’m doing, you can cancel anytime. If you’re really dissatisfied, I’ll refund your most recent payment. Please note I work with a maximum of 8 clients at a time. I don’t work with everyone who contacts me. If you’d like to secure one of these remaining spaces, click contact me, I’ll aks you some questions and see if we’re a good fit to work together. You made it to the end, you can either contact me or read how I build these links for you here. As an experienced SEO Consultant I can help to identify on site problems with an SEO audit or enroll you on my white hat link building service. Increasing traffic to your site and improving Google rankings should help to bring my leads/enquiries to your website.